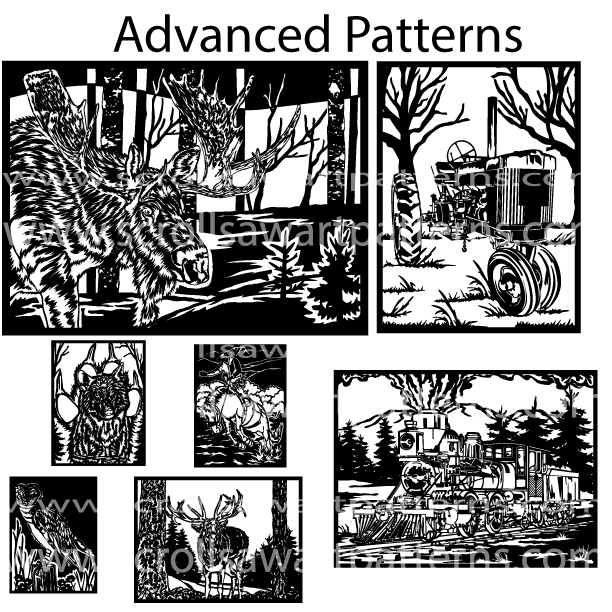 Instant Download Advanced Deer, Elk, Moose, Bear, Cowboy, Tractor, Horse, Fishing Scroll Saw Patterns By Jason Henry. 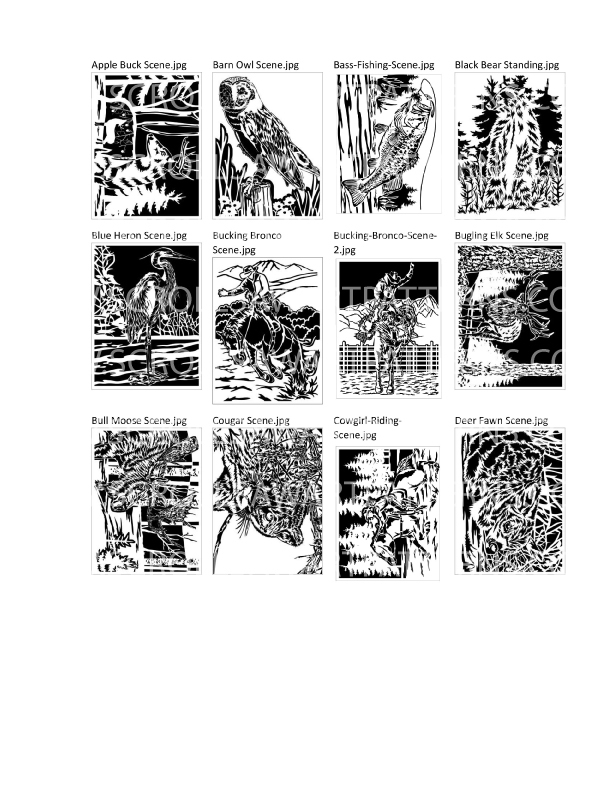 Includes 24 Advanced Scroll Saw patterns. 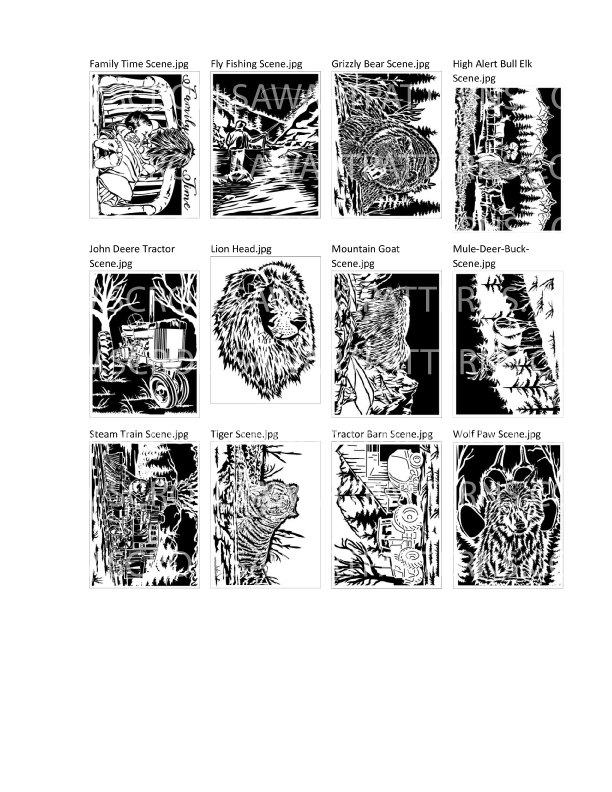 Designed to be cut 12"-16" wide . Advanced scroll saw patterns can be scaled to a larger size. 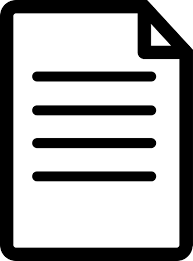 Includes printable PDF and JPG Files. Patterns download as .zip (compressed files) to minimize download time. Try Pegas blades from Bear Woods Supply to cut this pattern-their decreased resistance will help you cut this intricate design even more accurately.